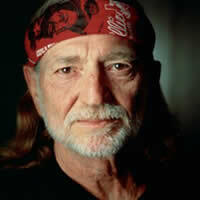 On The Road Again was written by American country music singer, Willie Nelson. Recorded: In the fall of 1979. Music: E Major in 2/2 time at 111 bpm. Born: Willie Hugh Nelson on April 29, 1933, in Abbott, Texas, U.S. Associations: Waylon Jennings, The Highwaymen, Johnny Cash, Kris Kristofferson, Merle Haggard, Ray Price, Johnny Bush, Roger Miller, Johnny Paycheck, Glen Campbell, George Jones, Loretta Lynn, Toby Keith and Neil Young. On The Road Again Sheet Music at MusicaNeo.Com - Piano/Vocal/Chords - 4 pages - E Major - Willie Nelson. WILLIE NELSON chords and lyrics are property and copyright of their owners. "On The Road Again" chords and lyrics are provided for educational purposes and personal use only.